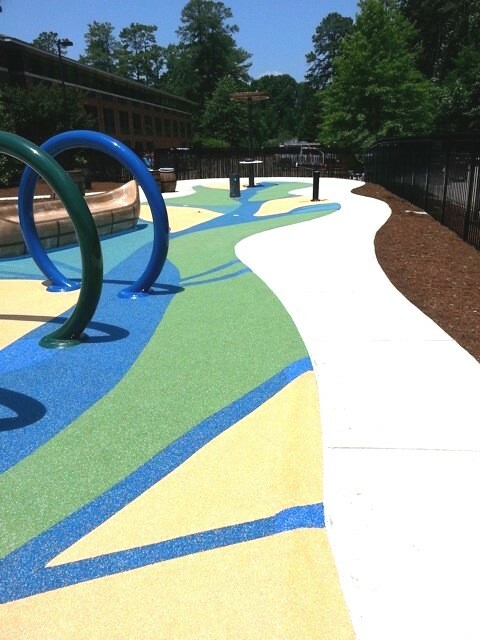 No Fault Safety Surface has been proven to be the finest all-around poured-in-place product available for water play surfaces, splash pad surfaces and pool decks. 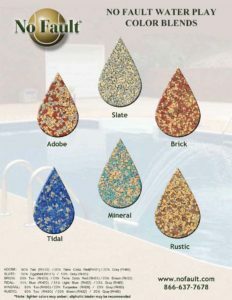 Our rubber pool deck surfaces are ideal for use in water play applications because it provides a permeable, porous, non-slip surface that is highly functional. In addition, it provides a cushion-like comfort to walk on and doesn’t get too hot – while also offering an unconventional and attractive pallet of color combination possibilities. 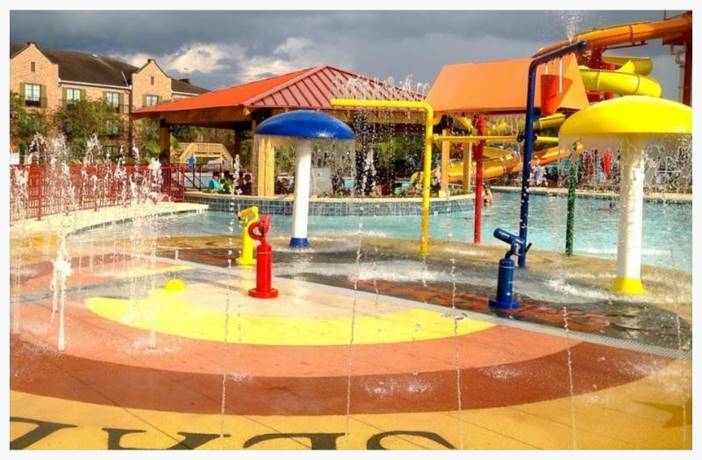 With numerous client installations around the world, we’ve installed pool deck surfaces, water play surfaces and splash pad surfaces for prominent customers such as Sea World and Six Flags. IMAGE DISCLAIMER Images shown may depict a product feature or design without fully reflecting the product overall. Please refer to product details and specifications when making a final selection for purchase.